Open Forum: Dive Into New England's Seafood Supply Chain - Red's Best — Our Wicked Fish, Inc.
Have questions about our local, seafood supply chain? Do you know which species are harvested in New England and American waters? Are you maybe a little uncertain but hungry for more information? Join Red's Best’s Founder & CEO, Jared Auerbach, for casual, transparent, quarterly conversations where you ask the questions and we dig into the inner workings of New England’s lively, historic fishing industry. All are welcome no matter how much seafood knowledge you currently have. Come learn. Come chat. Come participate. Meeting Spot: Red’s Best is the last door on the right at the end of the Pier. Come up to the reception area on the 2nd floor. MBTA: Court House (silver), South Station (red) or Aquarium (blue). Parking: Very limited. Public lot available at beginning of Pier if spots are unavailable in front of Red’s Best bay. You may park direclty in front of Red's Best bay but parking prohibited in front of neighbors’ bays. Public parking lots available at World Trade Center and throughout the Seaport. 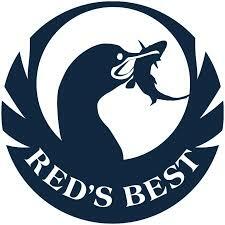 Red’s Best is the industry leader in seafood traceable to American fishermen. Our proprietary technology allows us to efficiently unload large fleets of small fishing boats, providing top-quality fish from our network of over 1,000 community based fishermen. We believe there is value in the story of who caught your fish, where and how, and to tell the story of each catch. Headquartered on Boston’s Historic Fish Pier, Red’s Best has additional aggregation and processing facilities in Chatham, Martha's Vineyard and New Bedford. Find Red’s Best Fish Market & Eatery inside the Boston Public Market and seasonal farmer's markets throughout Metro Boston.